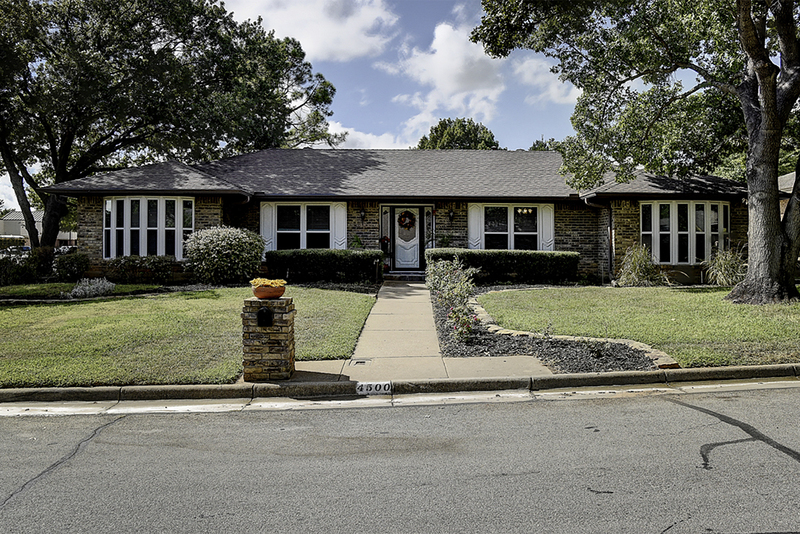 4500 Weyhill Drive is a rare find in a fantastic SW Arlington location seconds to Dunn Elementary and the popular Foster and Kelly Parks. Corner lot, treed yard, side entry garage, inground diving pool. Updates include windows, granite counters, fixtures, hardware, paint, flooring and more. Oversized master has his and her sinks, walkins, dressing areas, and separate tub and shower, built-in dresser. 3rd living area is great home office. Split 4th bedroom has full bath. 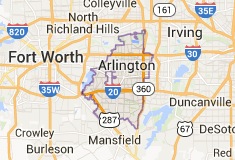 Arlington is a community of more than 360,000 people located in the heart of the Dallas/Fort Worth Metroplex. Arlington is the third largest city in the Metroplex and the seventh largest in Texas. Arlington is home to Dallas Cowboys, Texas Rangers, Six Flags Over Texas, Johnnie High’s Country Music Revue, the University of Texas at Arlington and Tarrant County College. We continue to be the family destination for more than 6 million visitors a year. Arlington schools prepare students for future employment and higher education through challenging academic programs and extra-curricular activities. Arlington is a city in the U.S. state of Texas, within the Dallas–Fort Worth–Arlington metropolitan area and Tarrant County. Click here for more homes for sale in Arlington.